Different day - same yellow folders all over your computer. Sounds boring enough to change, but aside from dull sameness, typical folder icons are hard to navigate through. Well, may be not exactly hard, but they do not help much. The only true difference is their names, and psychology claims it's the worst distinction of all for us, humans. Our brains differentiate visual images much faster. FolderIco can't fix your brain, but it can change colors of the standard yellow folders to something more visually appealing. Smoothly integrating to the Explorer shell, it allows you to change colors and icons of any folder in the system in just 15 seconds. In any Explorer window, right-click a folder to open the context menu. 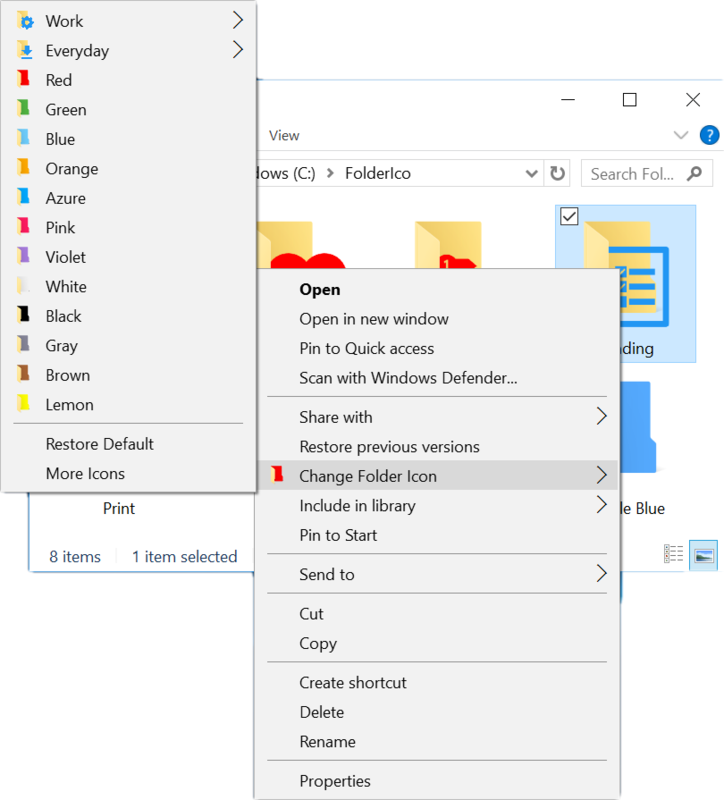 Under the "Change Icon" submenu you can find pre-defined colors to apply to the folder. Click the color you like and the folder instantly becomes of that color. Click the "Change Color" button and choose the color you like. 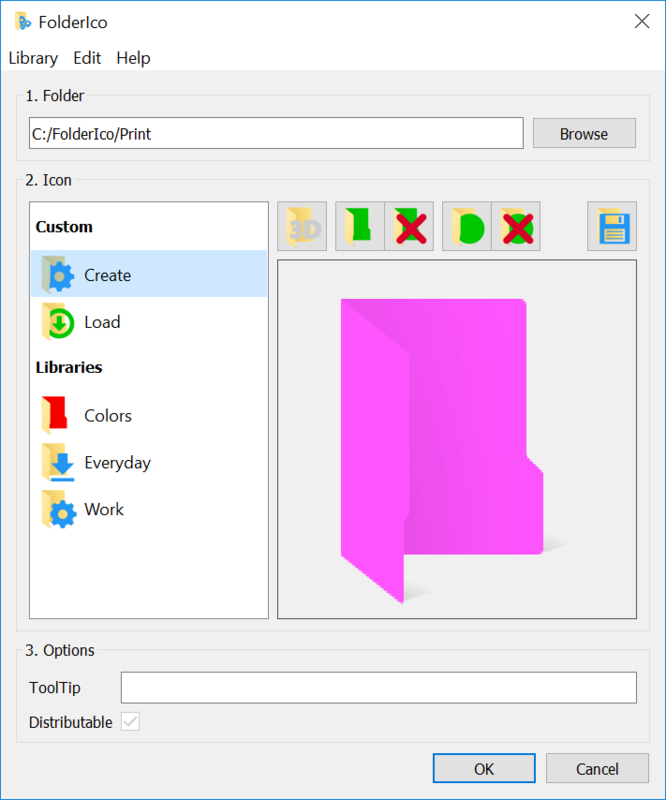 You can change whole folder color or only back cover, just enable or disable "3D Mode"
Alternatively, you change the look of the folder icon completely. 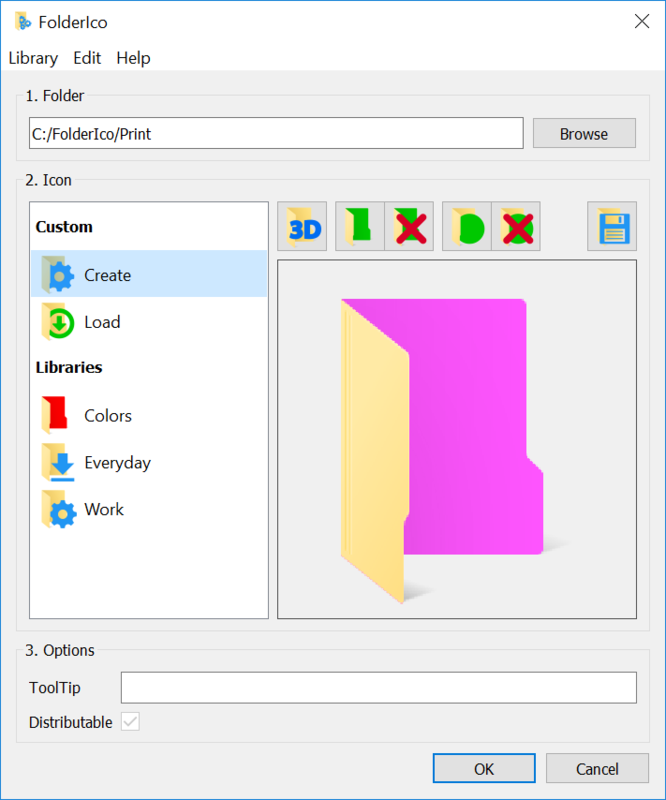 Load a custom image or apply an overlay picture displayed on top of the main folder icon. As a result, you receive a 100% unique icon clearly reflecting its contents. And to quickly apply the same settings to another folder, save the result to User Icons.